Six Kids Later and I Got Slique! Ok, so it may not be the 35 pound weight loss that my husband experienced, but I sure am happy with my results and I loved the journey👏🤗🙌. Growing up, I was ultra competitive and athletic. I maintained some level of fitness up until about our third child. In fact, right before his pregnancy I combined my love for swimming and running and completed my first (and only, so far) triathlon. But that third pregnancy was HARD. My husband was deployed for most of the first 16 weeks. Taking care of a two year old and nearly one year old while feeling awfully nauseous meant there was not much exercise or self care going on. Then hubby returned and we were busy enjoying life together again, and let's just say I got big very quickly. And he was a BIG baby! He was practically born with muscles, but I had lost all of mine. The next six years are a blur of pregnancies, babies, nursing, sleepless nights, diapers, laundry, dishes, cuddles, bedtime stories, and homeschooling. Do not get me wrong, I have loved every minute of it and would not trade it for anything, but it was definitely time to put some effort into regaining my health and physique. The best part of the Slique in 60 Challenge was our children rallying around me. When your husband and kids are cheering you on, it's hard to give up or get discouraged. I also had our amazing Young Living tribe checking in, encouraging, and inspiring. So, what did I do? I took the Slique CitraSlim capsules as directed everyday. I love the natural energy and metabolism boost of these capsules! I also drank the Slique Tea just about every day and replaced about one meal every other day with a Slique Shake. I continued taking my daily dose of NingXia Red and added the Slique Essence or another citrus Vitality Oil to my water. I aimed to work out 30 minutes a day. I ate nutritious foods and avoided processed sugar and fast foods. At the start, a 30 minute workout was difficult and I kept the workouts super easy (walking, hiking, dance videos), but as the challenge progressed I started adding some Fitness Blender HIIT workouts. The girls joined me on just about every workout, which also made them stronger. I've also noticed that my competive spirit has rubbed off a little bit on them. Both girls recently tried out for the Gymnastics Team and will be competing this year as Level 3 and Level 4. I love seeing them excited about fitness! 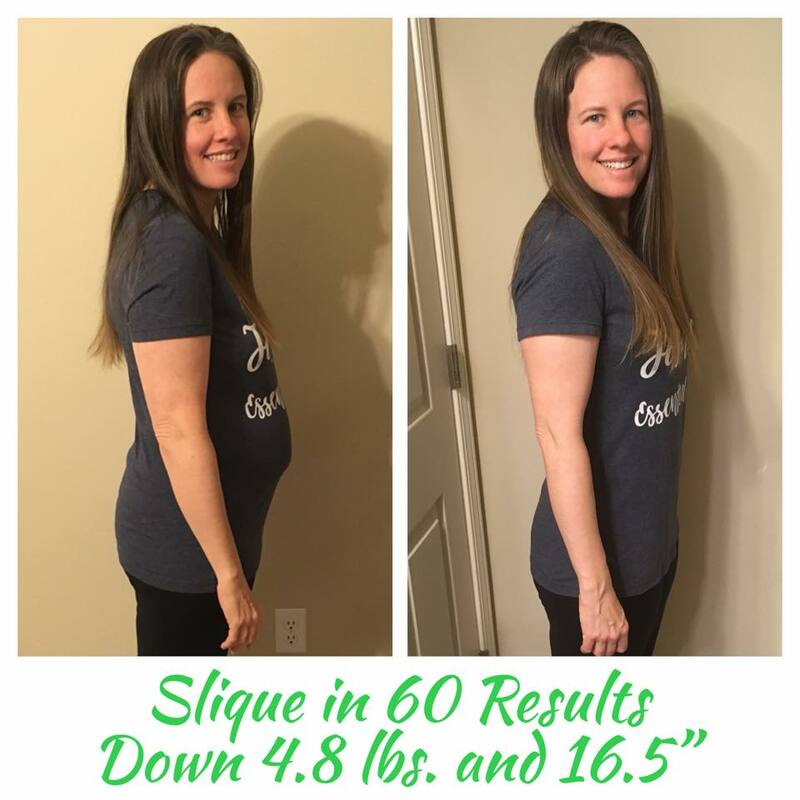 They are even using the Slique Shakes as added protein during their 5 hour gym workouts this summer. You can follow their journey on Instragram @fit_sisters4life. It has been six months since the start of the Slique in 60 Challenge and I am pleased that the habits that were formed during the challenge have stuck. What do you want most? I'd love for you to experience Slique! Check out updates from Week 1, Week 2, and Week 4.